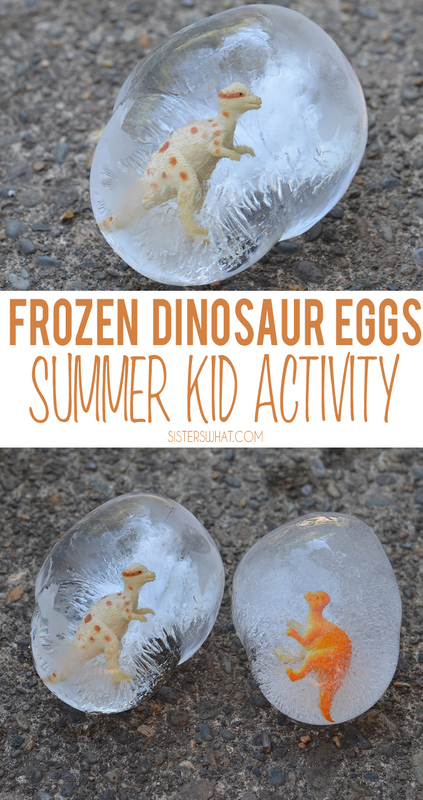 ' Frozen Dinosaur Eggs - Summer Kid Activity - Sisters, What! 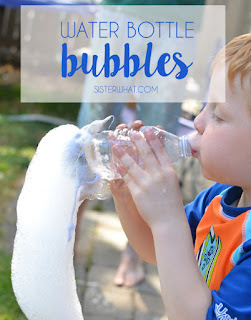 This is probably one of our favorite summer activities that we've been doing every summer for the past years. 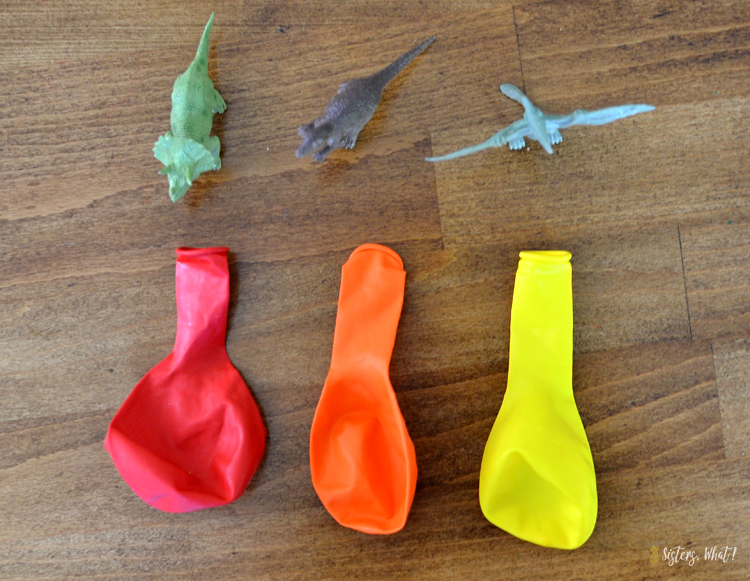 Even before my oldest loved dinosaurs we were doing it. 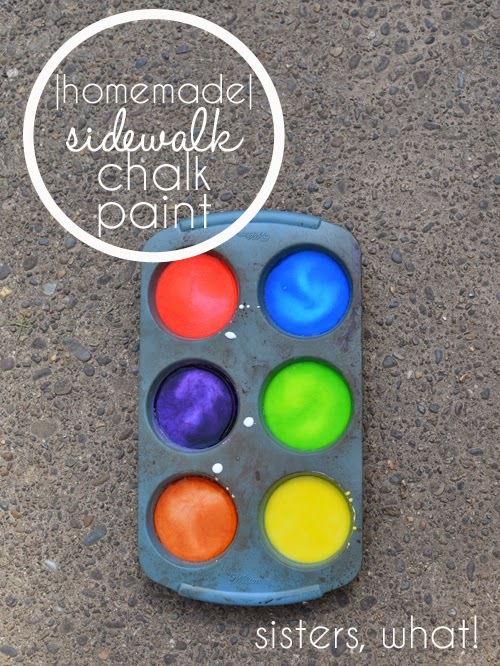 It's so easy and quick to do that it makes the perfect lazy summer activity. And you know, I'm sometimes kind of lazy, so any activity that is easy is perfect for me. 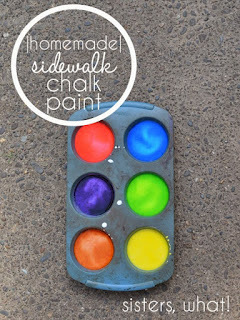 It's almost easier than making homemade Popsicles. It's really great when the days are hot and everyone needs something to cool off with. 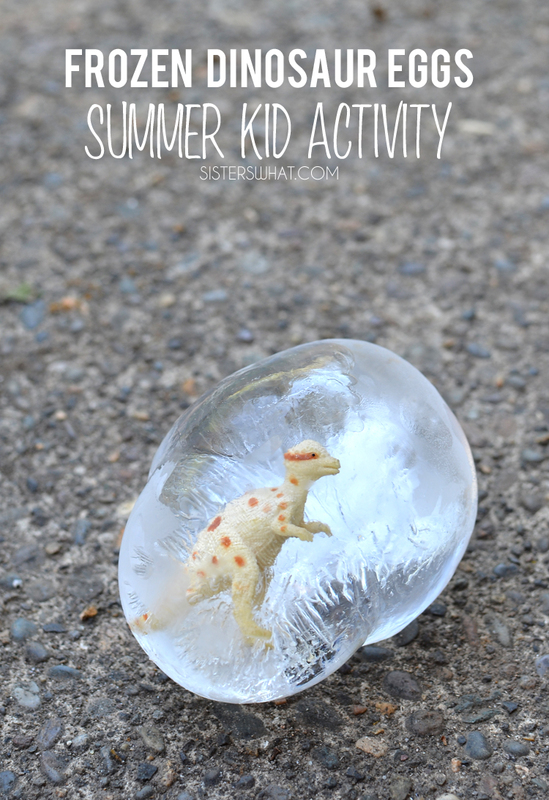 The activity can be long or short, depending on how hot it is outside and how much your kiddos hack at it. 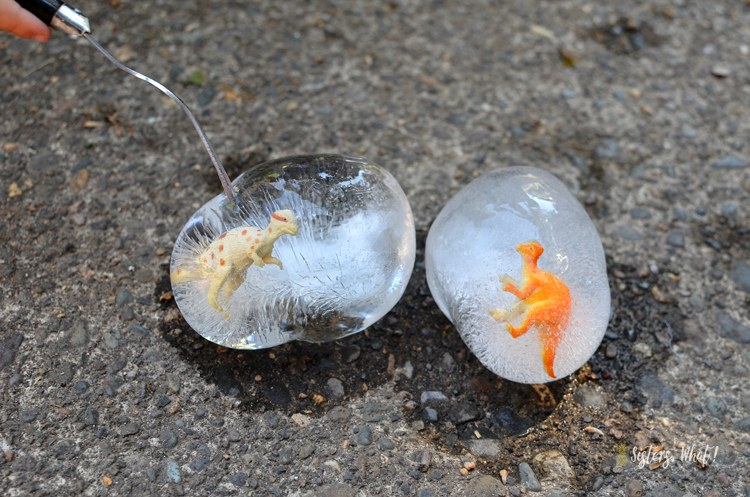 The best part is that the littles can help make the dinosaur eggs which is always a plus for the little ones. 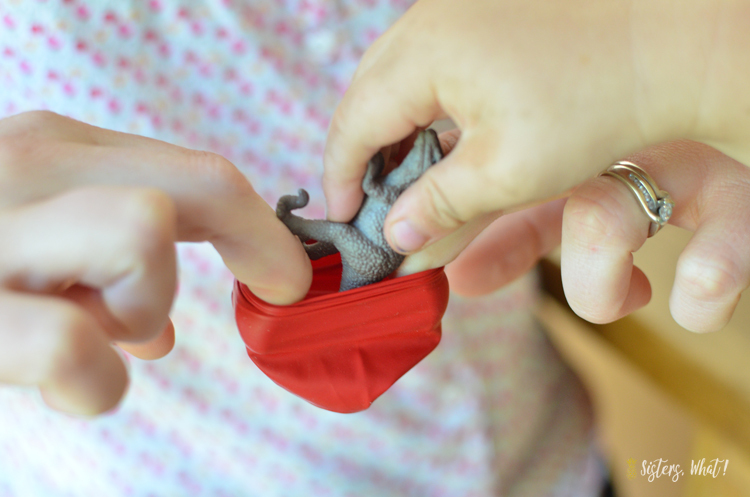 While hold the balloon open, have your kiddo or spouse place the dino inside the balloon. 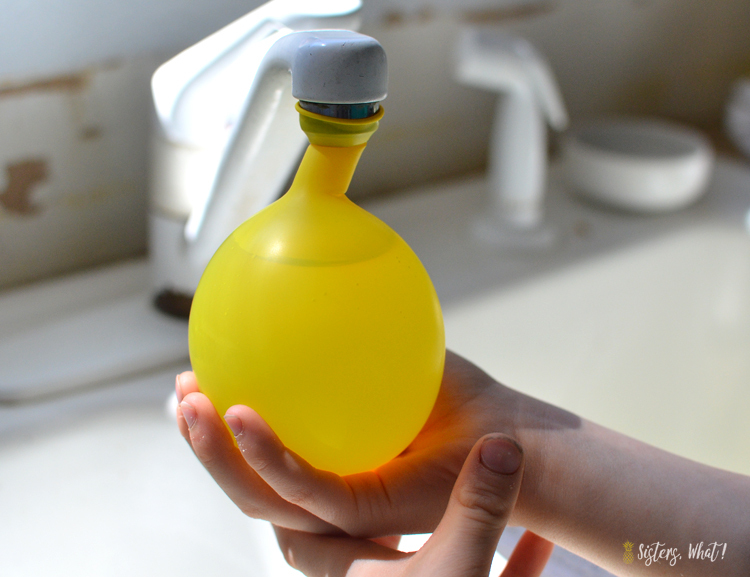 Just like filling a water balloon, fill the balloon with water in the faucet. 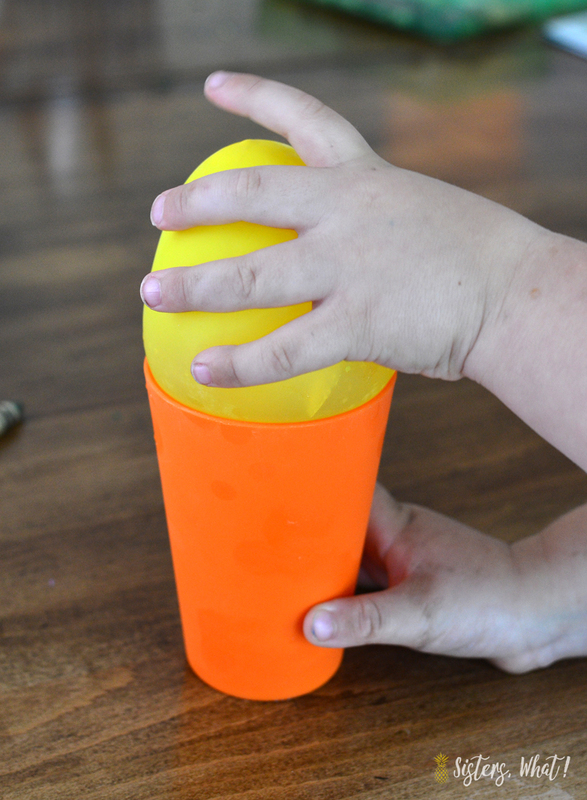 You want to fill it so it's the size of a really large egg. Tie a knot in the top. 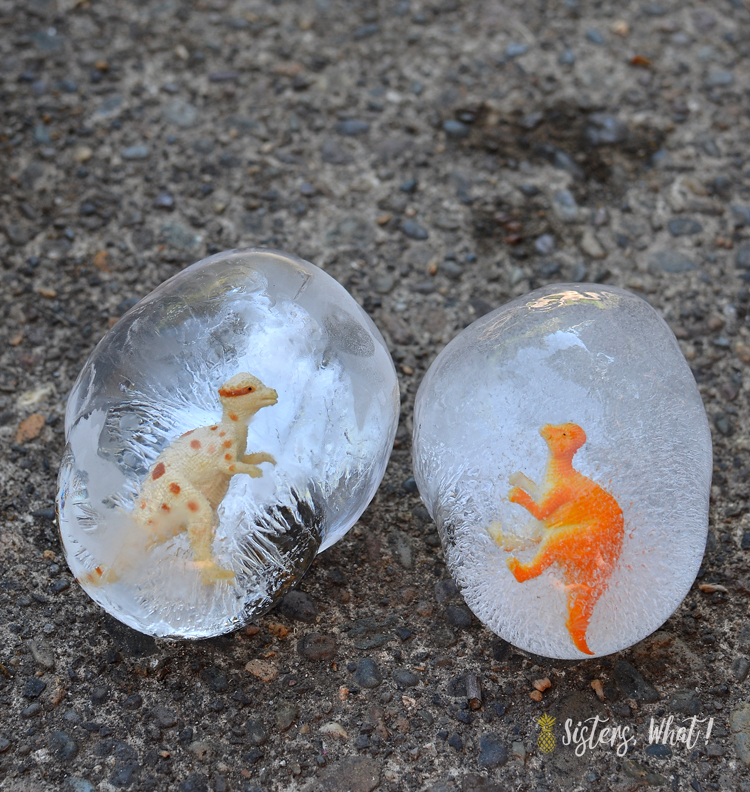 To keep it's shape, we placed it on a small cup and then placed it in the freezer and then waited about 24 hours for it to freeze. 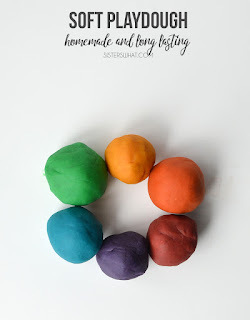 Once it's frozen, peel the balloon off and let your kiddos got at it with their desired tools.